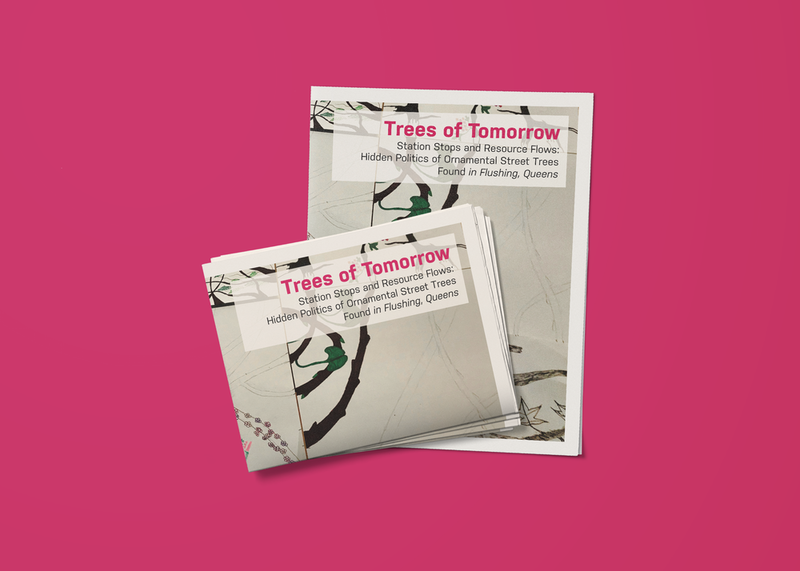 Trees of Tomorrow (ToT) is a guided, speculative tour of the trees of Flushing, Queens — exposing the ways trees shape, and are shaped by, neighborhoods, economies, and soils of Flushing; a complementary self-guided tour publication, echoing a futuristic theme; and a speculative workstation where, in collaboration with teens from John Bowne High School Agricultural Department, ToT collectively collapses the nature/society divide through art, stories and cultivations of Flushing’s trees and tree grafting. Trees of Tomorrow asks how to empower new natural cultural futures that enable local solidarity and survival across species. A Tabloid and Guided Tour of the Trees of Flushing, Queens. 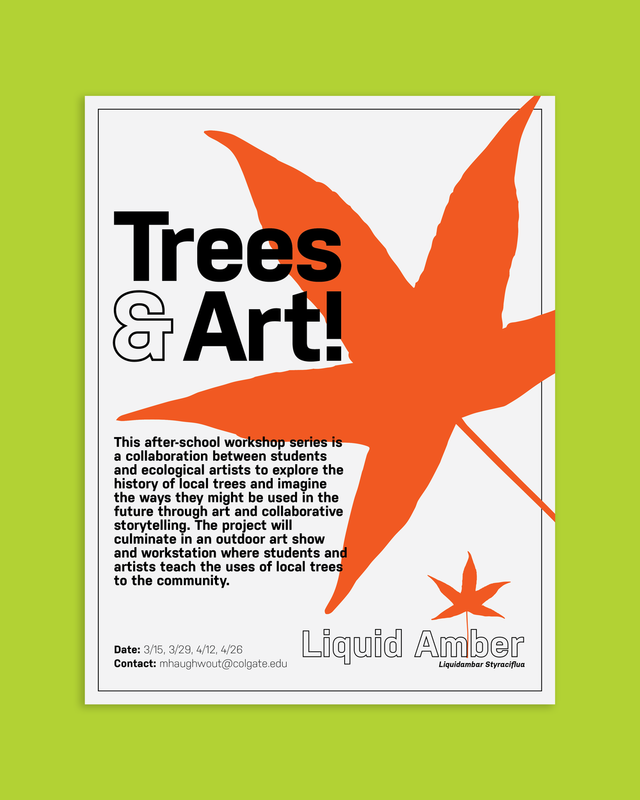 Flyers designed for a series of Trees of Tomorrow workshops exploring the history of local trees and imagining ways they might be used in the future through art and collaborative storytelling at John Bowne Agricultural High School in Flushing, Queens. DIY seed packets used with students in workshops at John Bowne Agricultural High School. Printed on A4 paper, each page contains folding instructions following Paul Jackson’s angled envelope folding technique for two seed packets. 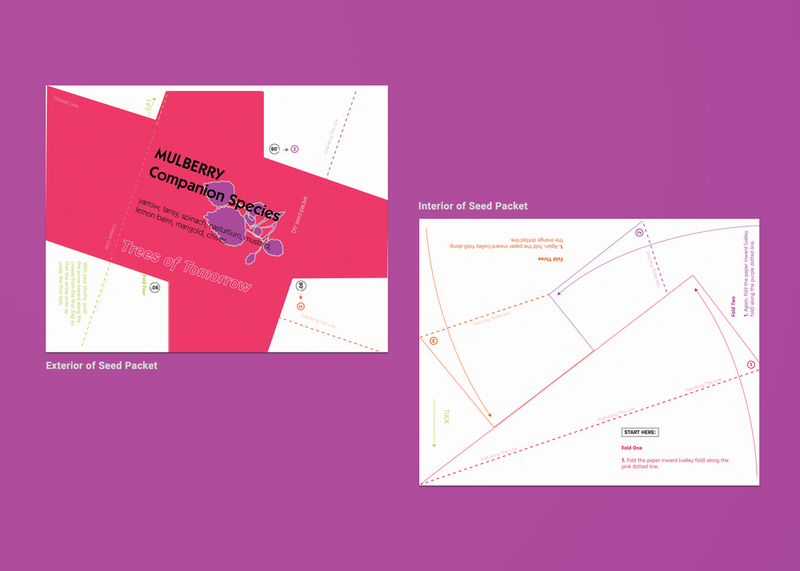 Shown below is the design, front and back, for one seed packet. Trees of Tomorrow materials in Margaretha Haughwout’s Trees of Tomorrow: Hidden Politics of Ornamental Street Trees exhibited in Faculty Show (October 17 - November 21, 2018), Clifford Gallery, Colgate University.